Guys, the RS is going to come with a high performance street compound. Not ideal for track days, so there will be a need to upgrade the pads at some point. Plus, the stock pads will wear out and it's always nice to have pad options. You know that even though the calipers are Brembo, the pads and discs may or may not be Brembo also? Since I work in the industry I was hoping we stocked the correct shape for the RS. But I'd need to know what shape they use. Ferodo has the shape as FCP4830. 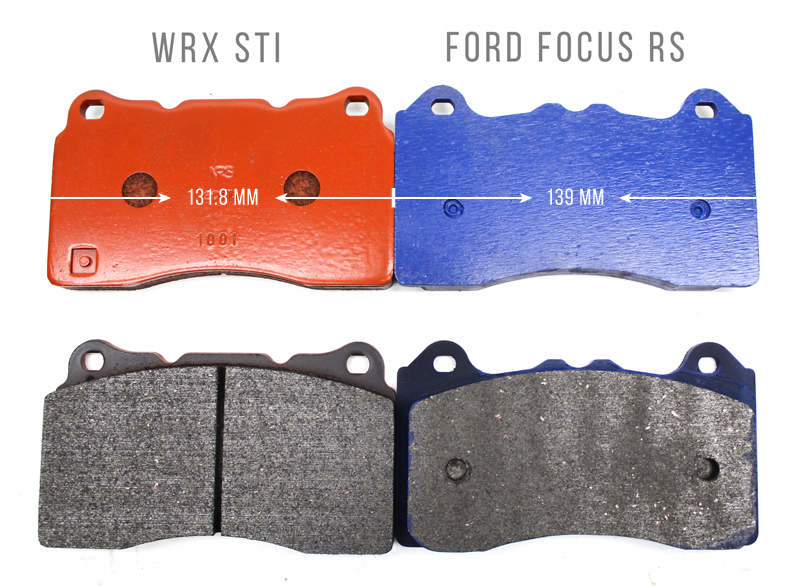 Unique shape only used on the Ford Focus RS. At least for Ferodo, they make that shape for only the one car, no crossovers. Gonna limit your pad choices at least for the immediate future. Last edited by Pointby; 08-02-2016 at 05:51 PM. If these don't come with Brembo pads and rotors, I'd be pretty upset. If memory serves me correct, the 350Z and G35 likewise came with Brembo pads and rotors along with the calipers as a complete package. Now I'm going to start questioning the brakes on this.. going to need to see someone post the complete system when they get it - lines, fluid, etc. Once we find out what pads these cars use we will have track pads available. We'll get G-Loc or Carbotech to make them if need be. Can you take some photo's/measurements? We have a set of GLoc race pads for an RS driver! Last edited by KNS Brakes; 08-03-2016 at 12:22 PM.